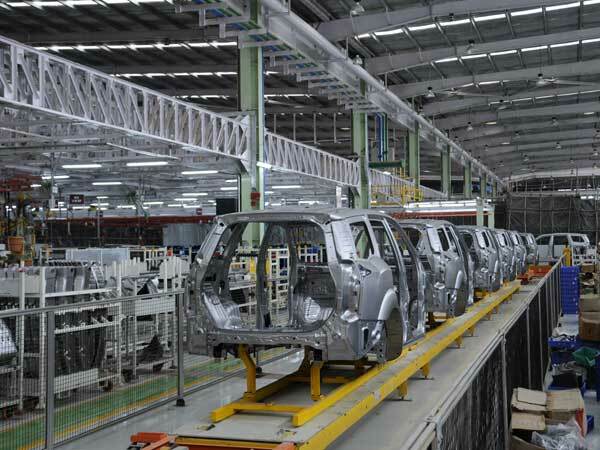 Revenue growth tapered for the automobile and ancilliaries sector in the September quarter on delayed festive season and lower sales in Kerala. Operating margins have contracted for companies on higher output costs. Aggregate revenue growth for the sector tapered to 7 per cent year-on-year compared with average growth of 20 per cent in the previous three quarters. The delayed festive season has affected volumes in passenger vehicles (PVs), two-wheelers (2Ws) and tractors. Lower sales in Kerala has particularly affected volumes in PVs and 2Ws, says an Emkay Global report. Companies that have posted muted revenue performance YoY are Maruti Suzuki (3 per cent), Tata Motors (2 per cent) and Mahindra & Mahindra (6 per cent), while companies that have registered strong growth are Ashok Leyland (26 per cent), Amara Raja (23 per cent), TVS Motor (23 per cent), Apollo Tyres (22 per cent), and Bajaj Auto (21 per cent). Tata Motors revenue performance was impacted by lower volume in Jaguar Land Rover (JLR). Aggregate Ebitda margin (ex-Tata Motors) contracted by 60 basis points (bps) quarter-on-quarter due to commodity price inflation and adverse currency movements. Commodity price movements in rupee terms were adverse sequentially, with a QoQ increase in steel (5 per cent), aluminum (8 per cent), rubber (5 per cent) and crude oil (14 per cent) prices. The rupee depreciation negatively affected importers such as Maruti Suzuki, Exide Industries, Amara Raja Batteries, Apollo Tyres, and Hero MotoCorp. In addition, fuel expenses (logistics cost) increased due to higher crude prices. Companies such as Exide Industries (-190 bps QoQ), Escorts (-160 bps), Eicher Motors (-150 bps), Mahindra & Mahindra (-130 bps), and Apollo Tyres (-130 bps) witnessed notable contractions in margins, while Tata Motors (+180 bps), Amara Raja (+110 bps) and TVS Motor (+90 bps) saw an improvement. The brokerage said its top picks from the sector are: Maruti Suzuki, Ashok Leyland, Mahindra & Mahindra, Motherson Sumi, and Apollo Tyres.